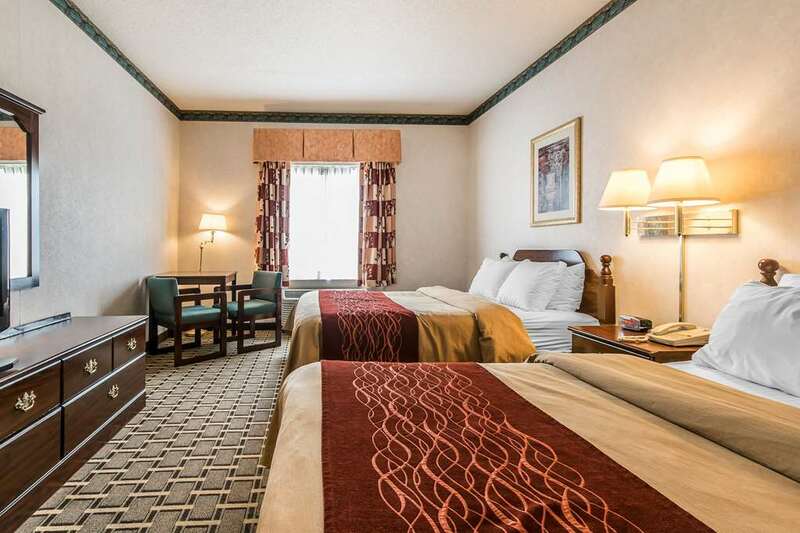 Get more value for your hard-earned money at the Quality Inn and Suites hotel in Evansville, IN near Ford Center and the University of Evansville. Nearby attractions include Tropicana Evansville Casino, Frog Follies Street Rod Show, Holiday World Theme Park, Lincoln State Park and Evansville Regional Airport. Relax with full-service hotel amenities like free breakfast, free WiFi, an indoor heated pool, fitness center, meeting room and a free weekday newspaper. Spacious guest rooms feature premium bedding and a TV. Also, earn rewards including free nights and gift cards with our Choice Privileges Rewards program. Non-smoking rooms are also available. Mechanical music machines honk, crash, and boom out tunes from long ago.